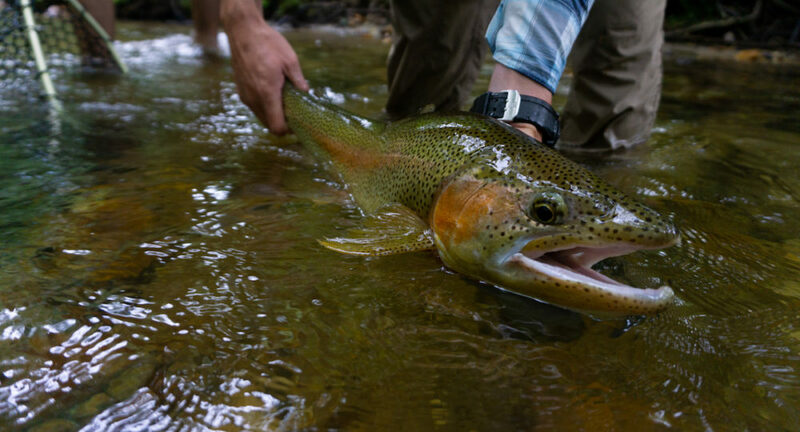 We have teamed with Bowman Fly Fishing – Guided Trips and Instruction – for some great package options. 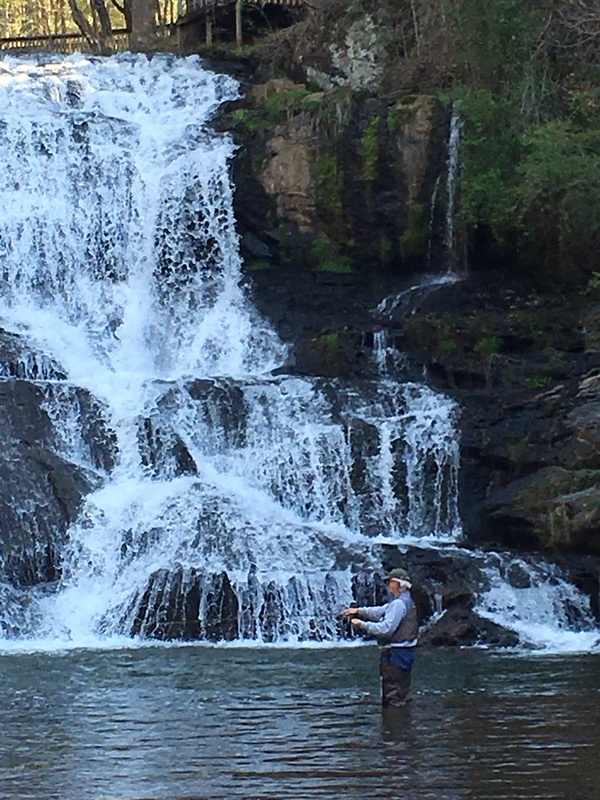 For the beginner or for a brush-up, you can book a one hour private clinic taught on our Big Spring Trout Pond at the lodge or at Cane Creek Falls at our Waterfall Cottage. 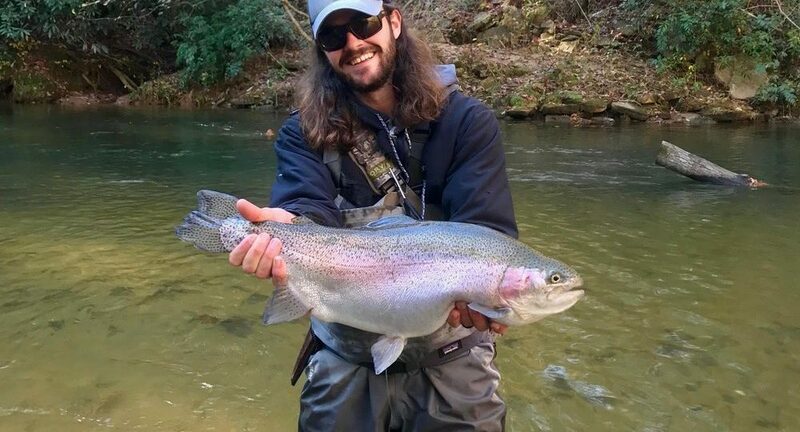 Daniel Bowman and his crew are experts in the waters of North Georgia and they guide individuals and groups to both stream and float fishing for all types of sporting fish: trout (rainbows, brown and brook trout), striped bass, black bass and brim. 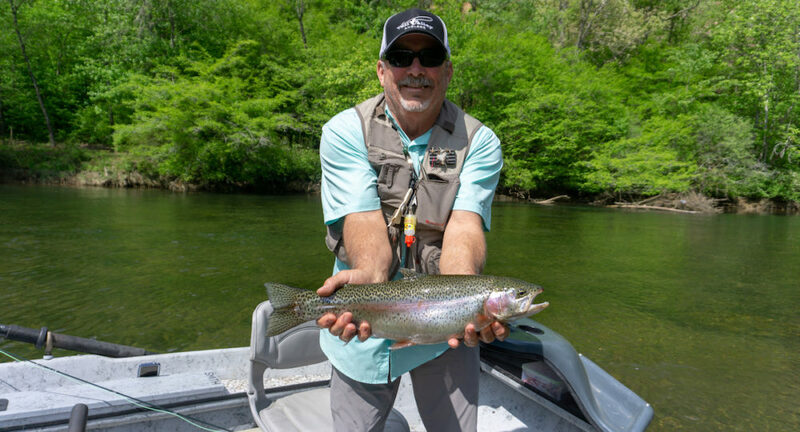 You can also book a half-day guided fly fishing trip on local trout streams or opt for a ride over the mountains to trophy trout water. 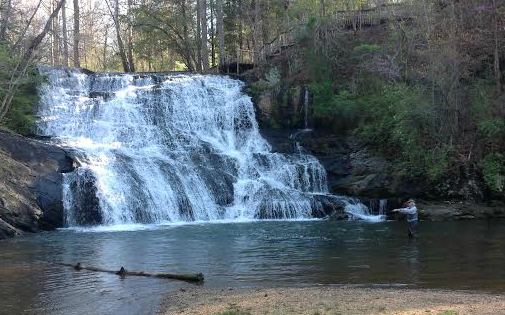 All equipment can be provided at no extra cost and the package. Includes transportation. Rain or shine with a seven day cancellation policy. All are subject to availability. 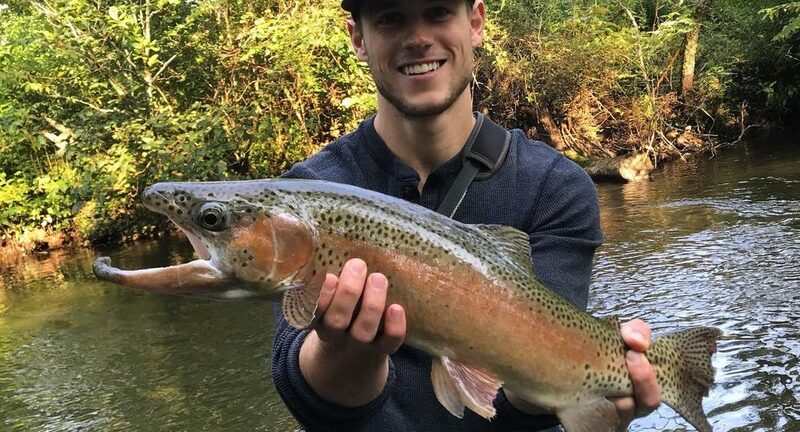 Call or email to book your fishing package! 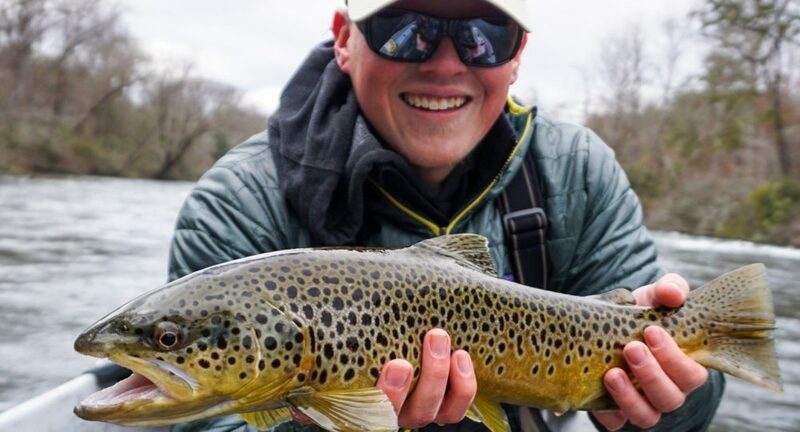 (1) one hour clinic for 1 - 2 guests: $125, (2) if you book a 1/2 day adventure then the clinic cost is $75, (3) 1/2 day on local trout streams for 1-2 guests: $300, (4) 1/2 day on trophy water for 1 guest: $325, (5) 1/2 on trophy water for 2 guests; $425. Plus the cost of your lodging. Subject to availability. Rain or shine. Seven day cancellation policy.